ViaCAD 2D is a very complete software that allows you to create drawings using many powerful tools. With a few clicks, you can create drawings and place different annotations from simple sketches. It integrates LogiCursor technology that makes it easy to draw lines by planning your lines. 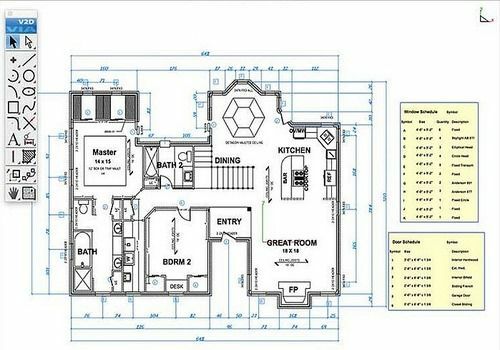 Thanks to the qualities of this software, you can imagine the layout of your ideal home or make elaborate diagrams or sketches. Your only limit will be your creativity. Rich in icons and textures, ViaCAD 2D includes more than 80 minutes of tutorial videos to guide new users through the software's operation.